Stellenbosch Cabernet Sauvignon, made from the vineyards between Helderberg and Sir Lowry’s Pass, False Bay’s broody blue ocean a kite’s flight away. But the wine is unwooded. 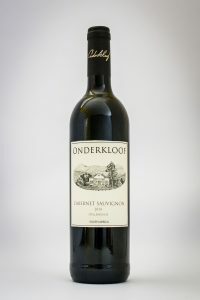 An unwooded Stellenbosch Cabernet Sauvignon from good turf. About as expected as vegan beetroot carpaccio in a real steak-house run by a guy named Strongs. There is a piece of history here that makes Yves’s unconventional approach to the variety not all that irrelevant. The great South African Cabernets of the 1960’s saw not one stave of new oak or small barrel. Even the iconic George Spies Cabernets of 1966 and 1968 were only briefly held in large sterile vat (’66) and stainless steel (’68). 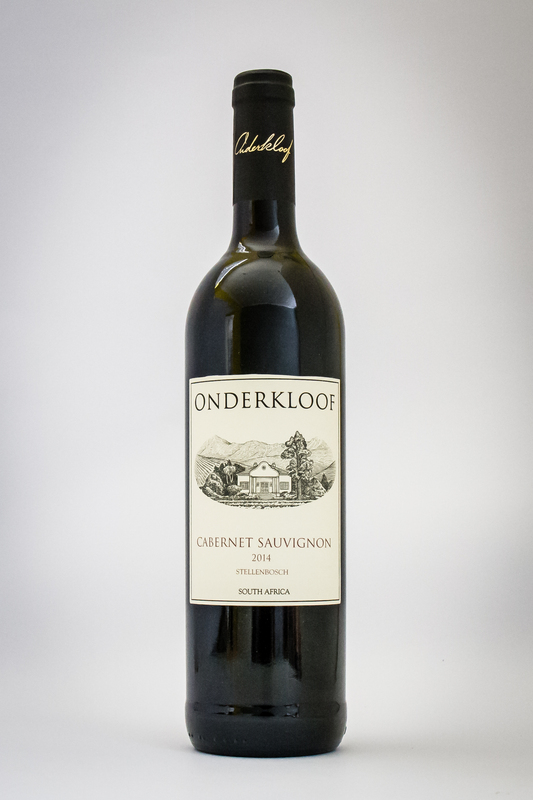 Over to the Onderkloof Cabernet Sauvignon 2014, and first up is the light colour, as can be expected. But one sniff of the glass, and you are once again struck by the complexity of this, the King of Red Grapes. In its pure, wood-shy form a blast aroma forms crystals in the nostrils. You smell a bed of sun-dried pine-needles covered in a sheet of crushed red berries, bees hovering over the nectar which is still alive, un-confected, with the juice running like water onto the earth. The palate is pure Cabernet Sauvignon, but without the perspicuity the wine would have if it had enjoyed carnal relations with a muscular vessel of French oak. The taste is perky, whimsical and charmingly fun-filled. Lovely wine notes of dark fruit, a fresh rhubarb spear plucked from organic soil, maybe a thin spread of blackcurrant preserve and an ever-so-slight threat of pre-ripe saffron stem. This wine brims with clarity and verve, is easy and enjoyable to drink. And at R70 a bottle is headed for legendary status in pizza parlours and organic beef hamburger joints. But it is worth standing still at, as here there is a lot to learn about the teachings of Cabernet Sauvignon. The Musfelds: Luanne and Yves with Heidi and Beat, the patriarch. 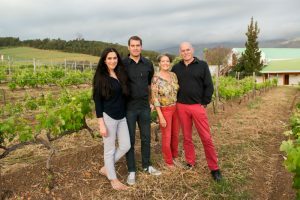 Yves runs Onderkloof while his South African wife Luanne handles marketing and engagements with the outside world, such as the one we are having now. The project was initiated by Yves’s dad Beat, who had become enamoured with South Africa while managing the new cable-car project for Table Mountain in the 1990s. Yves found a liking to wine, went off to study in Geisenheim in Germany, and today he and Luanne oversee a 12ha spread of vines, while leasing five hectares from next door. When it comes to expression, Yves has an interesting take on Chenin Blanc. 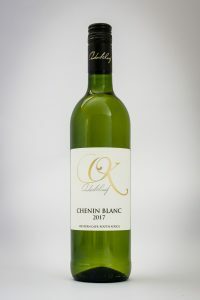 Having worked extensively with Riesling in Germany and thus knowing a thing or two about terroir-reflection he is adamant that Chenin Blanc shows its place like no other variety in South Africa. 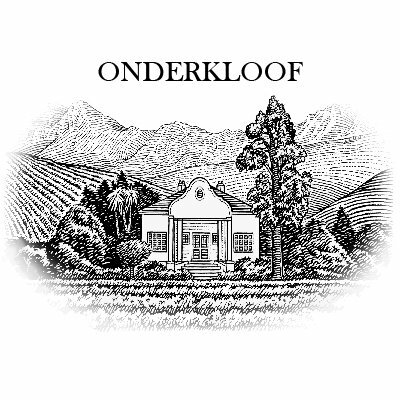 The Onderkloof Chenin Blanc 2017 has a 10% wooded component, but the nose and palate would lead you to believe it received the fuller Monty. It is concentrated, layered, sweet autumn fruit mingling with crisp lines of exuberant citrus, an almost Chardonnay-like almond component providing a layer, mysterious and deep. But on the finish, an unexpected floral decadence creating an exotic ending to what is a superb example of Chenin. There is also a tantalising saline thread to the wine I must find out more about. 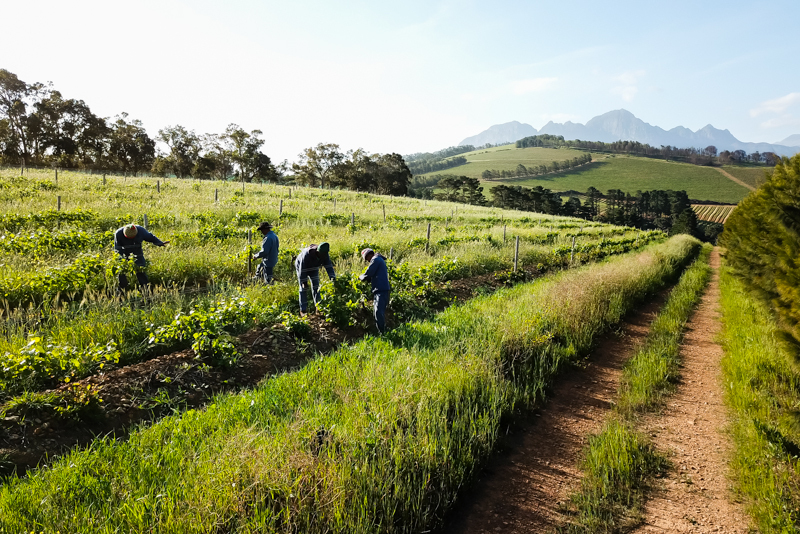 I kind of like it when foreign-owned farms take to South African grapes, and Onderkloof’s Pinotage 2015 proves that the enthusiasm is indeed warranted. Like all of Yves’s wines, there is a light hand at work here. No over-extraction, palate-assaulting tannins or powdery dry finishes caused by mismanaged juice-skin interaction. The wine is fresh and appealing, talkative and sprightly, but underneath a cascading curtain of handsome flavours await for the onslaught. Freshly sliced charcuterie topped with wild mushroom, 25yr Balsamic and a pile of dew-fresh youngberries. Warm, agreeable tannins give why to a comforting plushness and a sensual happy ending on the finish. Pinotage, and the versatility just gets more astounding. Onderkloof is not yet a part of Stellenbosch’s wine tourism force, only opening the farm one Saturday month for tasting. No fondue yet, however, the air here is filled with promise. That is for sure.